Before Texas SkyScreamer existed, this area of the park was occupied by Texas Chute Out. 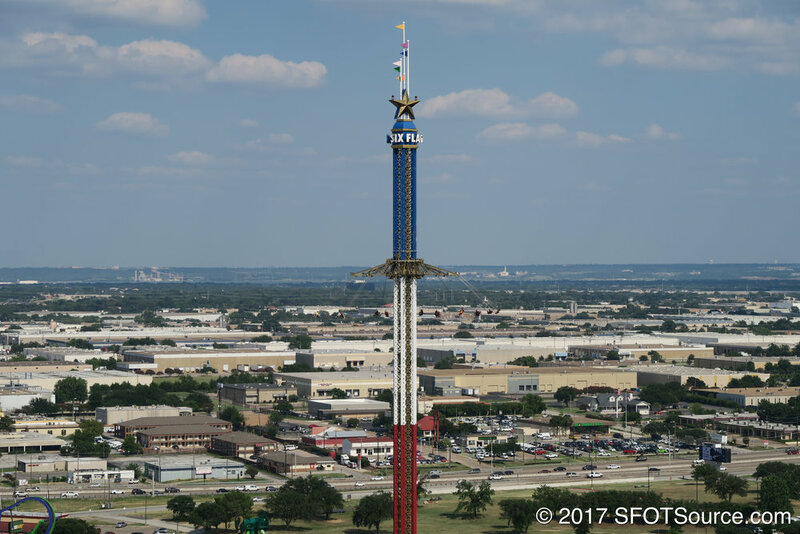 Texas Chute Out was a Intamin Parachute Tower that operated inside the park from 1976 to 2012. 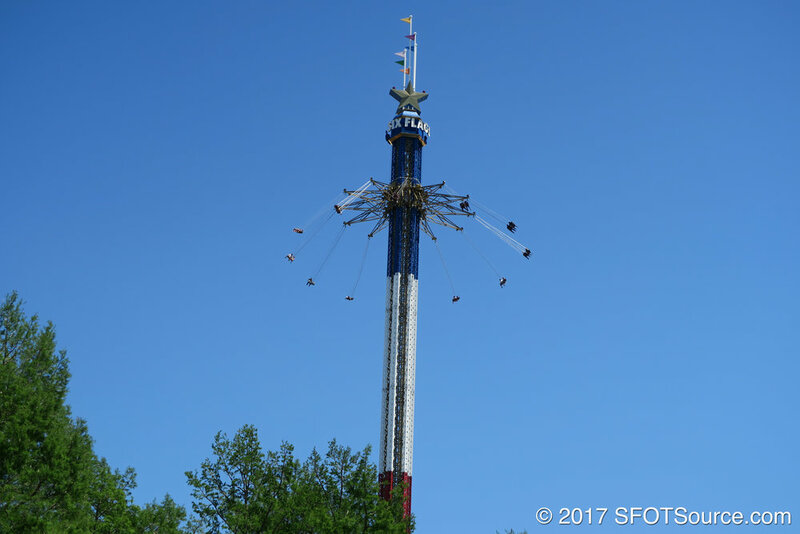 Standing at 225 feet tall, Chute Out gave riders a great observation experience over the park. The ride consisted of a basket attached to parachutes that ran along a stationary cable. For some time, guests could ride in stand-up baskets. During Holiday in the Park, Texas Chute Out was decorated with a star and red string lights to look like a large Christmas tree. 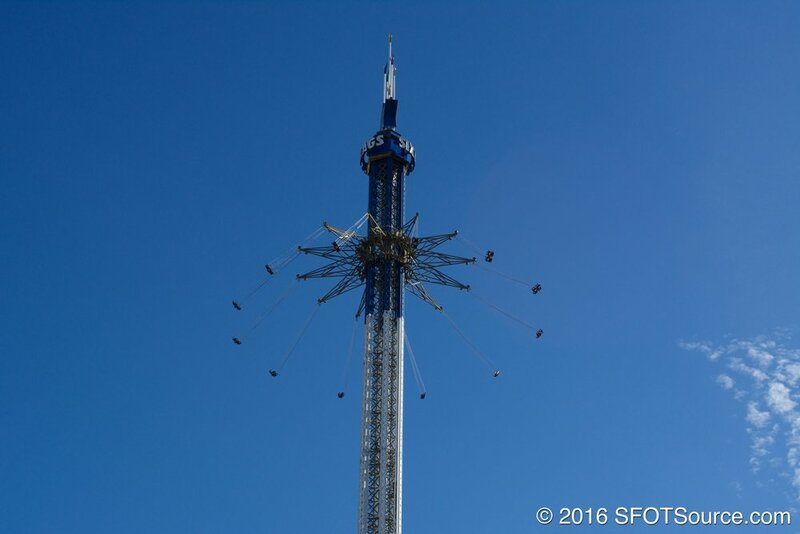 Before the ride closed, it was one of the very last parachute tower rides in existence. In 2012, the ride was imploded and scrapped. 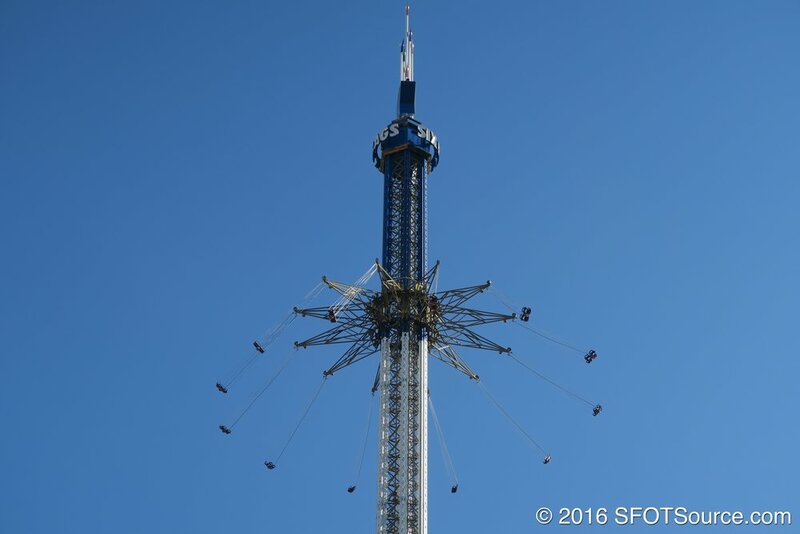 When Texas SkyScreamer opened in 2013 it was the tallest ride of its kind in the world. This was a short-lived record as just one year later Six Flags New England built a model that is 15 feet taller. SkyScreamer rides are quite popular within the Six Flags chain. As of 2017, there are ten different models. These parks include: St. Louis, Discovery Kingdom, La Ronde, Great Adventure, Fiesta Texas, Six Flags Over Georgia, New England, Six Flags Mexico, and Six Flags America. SkyScreamer located at Six Flags Fiesta Texas in San Antonio.